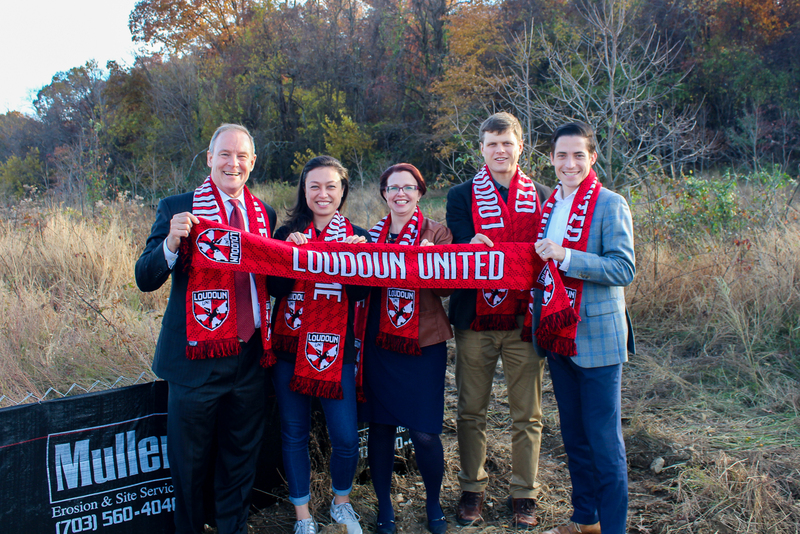 The local chapter of Commercial Real Estate Women has honored Loudoun Economic Development with its “Deal of the Year” award for a project that will co-locate D.C. United’s headquarters and Loudoun United’s stadium near Leesburg Airport. Construction is underway and is projected to be complete in 2019. As the nomination for this award noted, “Professional sports teams provide a relatively unique type of development that requires ingenuity and creativity to secure. This development offered several challenges, such as the fact that the team needs to have the stadium built and operational less than one year after the deal was signed. This required a significant amount of planning and coordination between county departments to ensure permits and approvals could be obtained. 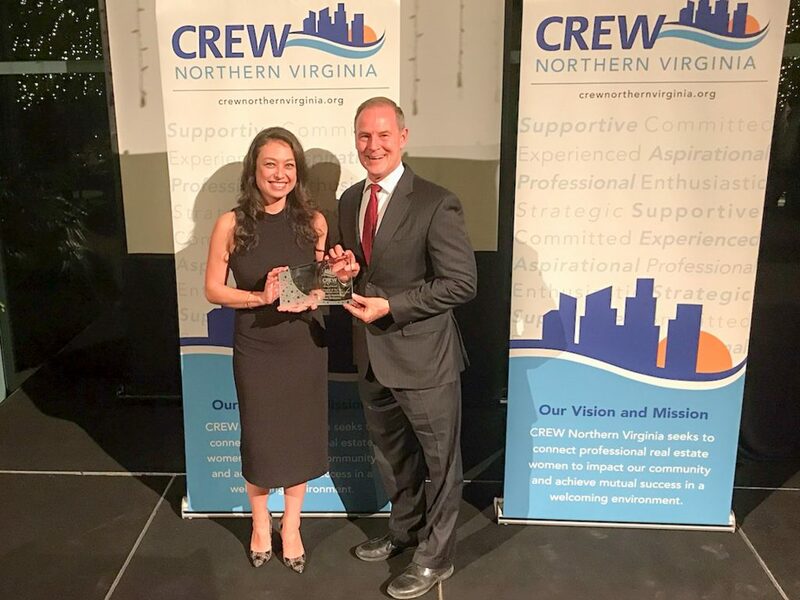 Kimley-Horn and Associates, an engineering consulting firm, and GeoConcepts Engineering, a geotechnical engineering company, jointly nominated Loudoun Economic Development for the CREW “Deal of the Year” award. “We could not be more proud of this award,” said Loudoun Economic Development’s Executive Director Buddy Rizer. “This a great example of an innovative approach to county assets on behalf of the D.C. United organization, our Board of Supervisors and county staff. For this project, Loudoun County is providing the land for the facilities, and approximately $15 million in financing for the construction of the fields, offices, training facility and a 5,000-seat stadium. The team will make regular lease payments to the county that will fully offset any debt payments incurred as part of the financing package. The county will also retain the ability to operate the paid parking lots for stadium events and as a Loudoun County Transit Park and Ride lot during commuting hours. Of the four soccer fields, two will serve as the team practice fields and two can be used by the county during peak recreational periods. The county will also be able to use the stadium for other purposes, such as graduations and concerts. As noted in the award nomination, the strongest aspect of this project is the value the community will gain from being the home of a professional soccer franchise. Loudoun United will be part of the United Soccer League, which has 40 teams throughout the U.S. Loudoun United will play teams from Louisville, Cincinnati, Richmond, and other cities in a 30-game schedule that will have 15 home dates. My greetings to your team! “Deal of the Year” is an important award!